Now I remember growing up and really getting into fashion but I was always told that floral is just for summer? Well hello new season and new trends where, wearing floral is totally the way forward! 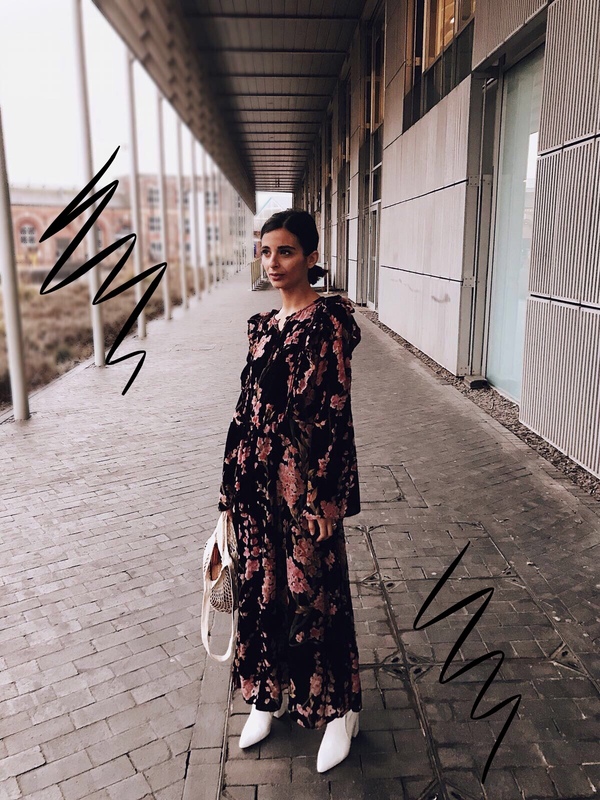 I’ve been embracing and wearing the floral trend (as I mentioned here where I teamed my mango dress with a chunky knit) into all my winter outfits and it’s super easy for you guys to do the same thing. 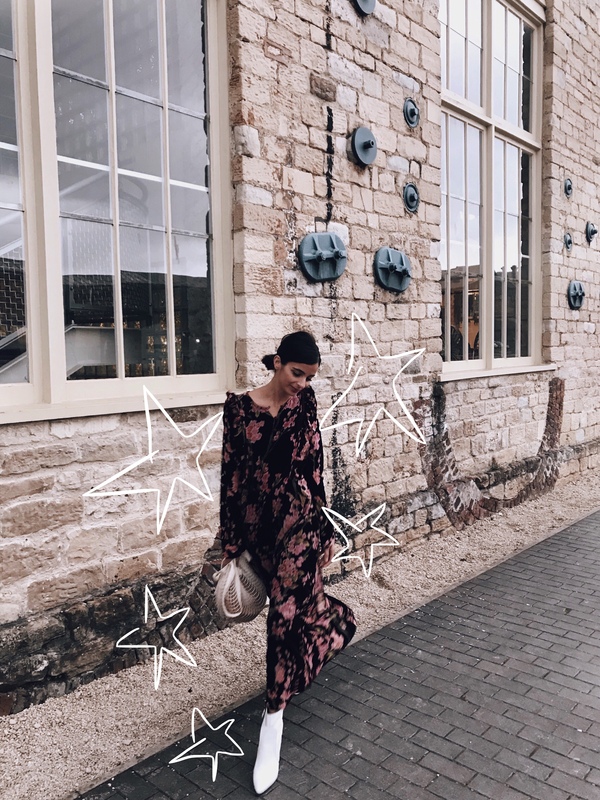 I’m super lucky to have teamed up with Olivia Rubin again to show you just how you guys can do this and incorporate those summer dresses into your winter wardrobe! 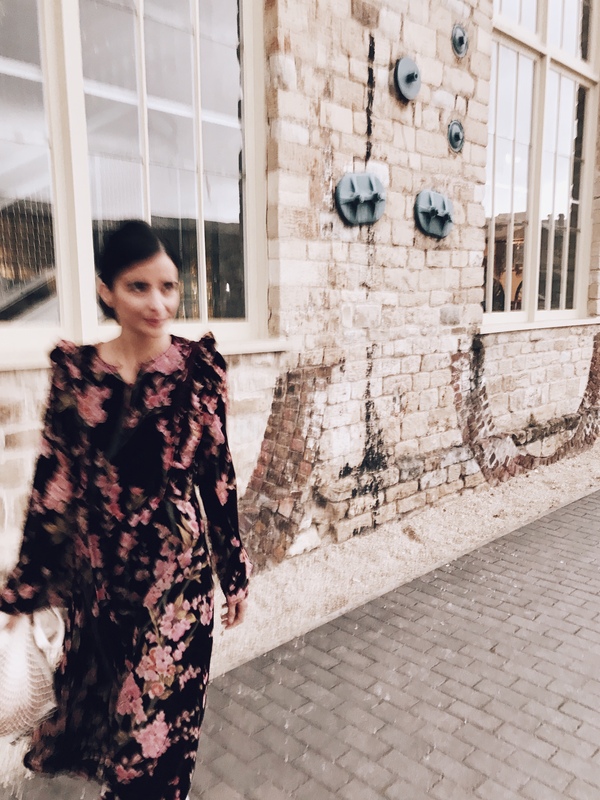 I’m wearing the Victoria Dress which is one of my favourite dresses from this season’s capsule and honestly I love how super versatile this dress is. 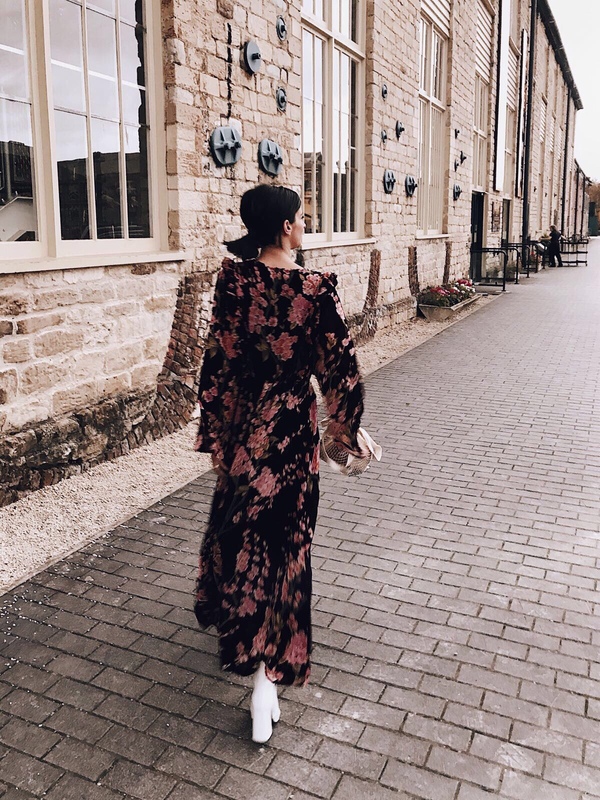 The dress is perfect for you to wear in the day like I have here, and I’ve teamed it with my Topshop white boots which have been one of my favourite boots to wear this season (white boots are still a huge hit!) 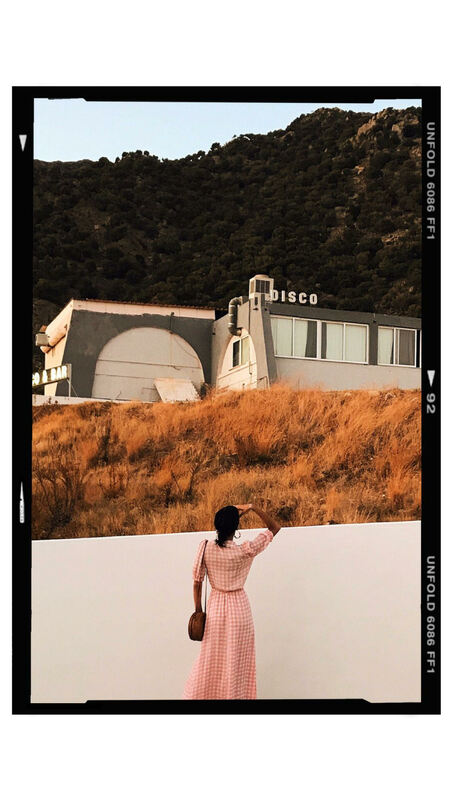 which pulls the look together for a 70’s feel that is completely chic for the ultimate girls weekend! 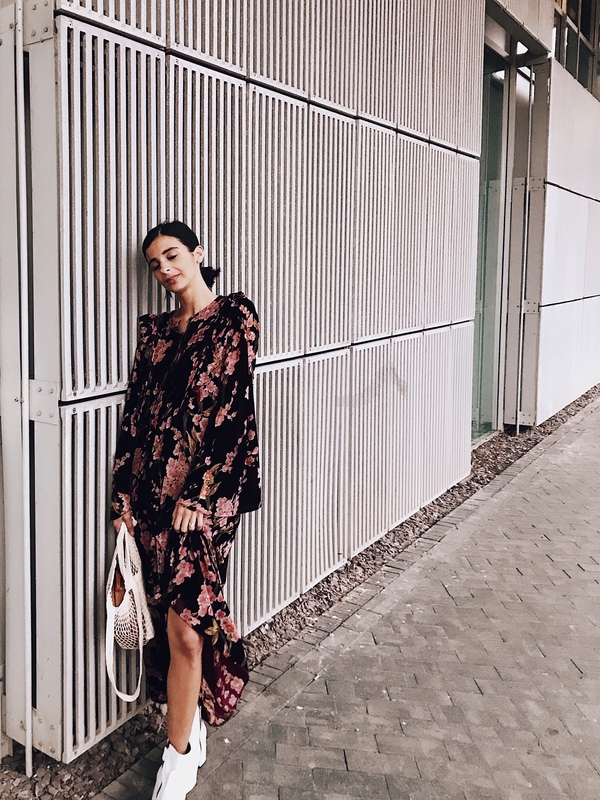 The dress has the prettiest of ruffles and it’s at my favourite length, the ankle maxi length. Which means any kind of shoes or boots will work with this length. 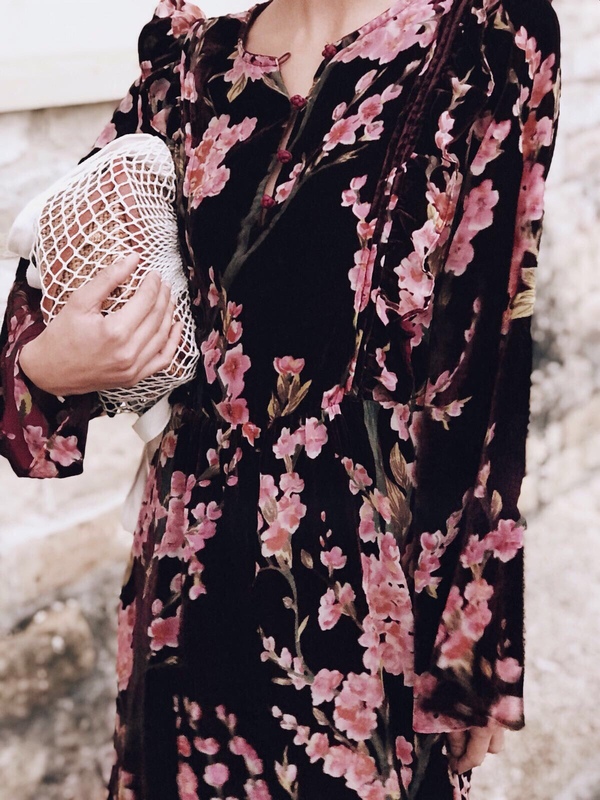 Totally obsessing over flared sleeves too, so this dress kinda ticks all the boxes for me as well as hitting the colour of the season with its burgundy tones. A little tip, when wearing florals at this time of year. 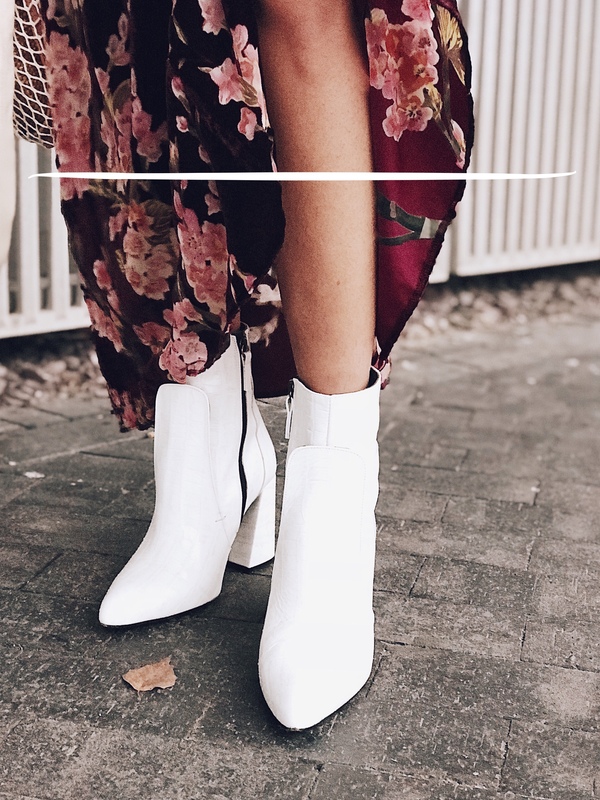 As it’s a little cold here in London make sure you team it with some killer boots to keep he feet warm or a throw on a chunky knit to give a warm feel to those cold days! I’m also wearing my trusted knit bag which I can’t get enough of. I’m seeing this dress everywhere at the moment but I love how you have thought outside the box and worn florals at this time of year. True stylist! I saw this dress in a magazine and I love it on you even more!